prevent the bad feelings or emotions from ‘re-infecting’ or affecting the re-emerging relationship? Yes, setting boundaries does pave the way to better relationships! The best way to back up this claim is to share with you an experience I’m having with a new friend. First, some background. We live in close proximity, each in private quarters. We enjoy each other’s company and mostly respect each other’s privacy. I love her spontaneity and we spawn that in each other. Our initial meeting was serendipitous, and as I am learning, so are our respective lives. We “get” each other, although we have lived very different lives. 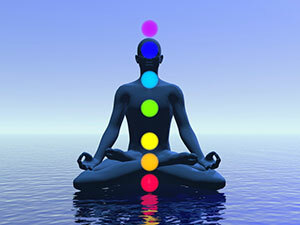 The fifth chakra, or Vishuddhi is located at the neck. It is symbolized by a silver crescent within a white circle, with 16 pale blue, or turquoise petals. The animal totem of the fifth chakra is the white elephant. The musical note that resonates with this chakra is “G”. It is considered the communication chakra and its color is blue. 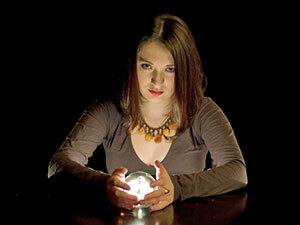 As a psychic reader I often deal with questions about love and relationships. Many clients have questions about meeting their soulmates, and I usually explain what a soulmate is and then immediately help them out with the proper terminology. I am still not sure why I tend to attract challenging, and sometimes negative personalities into my private space. Am I truly enabling others to give me this lesson over and over again? I know that having the very experience of these negative souls in my space enables me to identify with the customers I read for. Many of my clients find themselves either in a similar situation, or in a situation whereby they love someone who doesn’t reciprocate their kind or encouraging ways.